As a pentester, social engineering help us to get confidential information that, along with HUMINT and OSINT, is a good place to start. 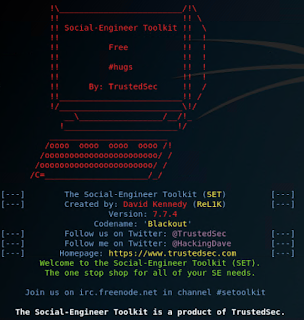 However, most of the time, we are going to need social engineering toolkit as well to deceive people. For instance, there are useful tools which allow us to clone a webpage to build our own malicious webpage with a built-in exploit for getting access to the victim computer. These tools are able to get passwords as well as inserting our own payload and they are also able to exploit the major vulnerabilities of Java, Flash, IE, Mozilla, etc. 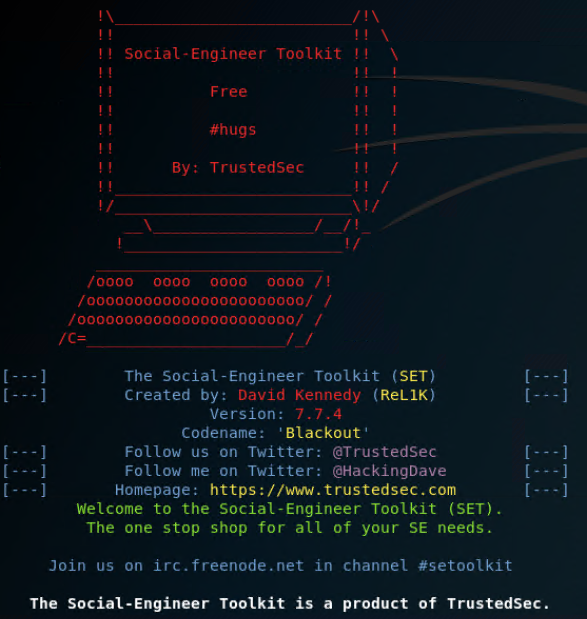 The most famous Social Engineering Toolkit is SET developed by David Kennedy, which is an open source framework with many attacks features. For example, we can create a spear-phishing attack easily with the aim of getting the victim credentials or we can even send mails massively to a organization. SET is also able to clone webpages easily to launch DNS spoofing or phishing attacks. What’s more, it allows to create malicious files (.exe) quickly or we can import our own malicious file into a payload. Lately, SET has added new attack features like wireless attacks which create rogue Wireless Access Points to perform a Man-in-the-middle (MITM) attack for sniffing traffic packets, as well as Arduino-based attacks, QRCode Generator attack, Powershell attack or SMS Spoofing attack. When I gave the speech about my own Domain Generation Algorithm (DGA) for the ISACA Challenge to bypass firewall security features like web filtering, I used SET to show realism into the attack because with a social engineering toolkit is easy to demonstrate how we can deceive people to install malicious files into their computers. In fact, I cloned a webpage and I performed a MITM attack to redirect the victim to the malicious webpage which hosts Java exploits to take advantages of Java vulnerabilities and I imported my own payload about DGA into the Java exploits to create random domains and bypass web filtering. These weeks I’m working with social engineering toolkit to create a lab with powershell attack vectors to get into Windows 10 operating systems. It is too easy, as always, to create a malicious file with a reverse shell for accessing into the victim computer and stealing whatever we want. However, once we have the malicious file, we have to deceive the victim because it has to be executed as administrator privileges to inject shellcode into the operating system. How can we deceive the victim to execute the malicious file? Again, SET helps us to clone webpages and deploy malicious files, it helps us to perform spear-phishing attacks, etc. It just thinking about social engineering. 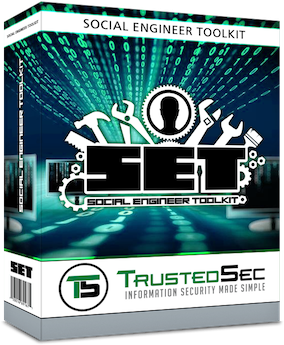 Therefore, as pentesters, everything is useful, we can use HUMINT and OSINT as well but social engineering toolkit is a powerful tool needed to get confidential and private information of a company. Sadly, this kind of toolkit is used by offenders and this is the main reason why pentesters should used it as well. 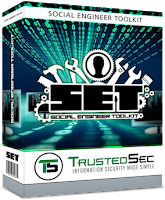 Regards my friends, keep warning and alarming to social engineering toolkit.